Speak: Replete with catchy hooks and conscious lyrics, SPEAK is a lighthearted yet probing parade of social and spiritual commentary, world pop rhythms, and spoken word that will keep the listener entertained, from the first note to the last. Contemporary and world grooves, mixed with elements of rock, blues, jazz and pop, make the album infectious and upbeat. World-class singers C.C. White, Gaura Vani, and Benjy Wertheimer add extra soul to the songs. SPEAK makes social, economic, political, and spiritual statements that swim against the tide of the us-versus-them mentality that has dominated our national dialogue this year. Yet somehow, the album isn’t heavy—it’s uplifting and inspirational. These songs are born from a love of musical diversity, movement, poetry and spoken word. We are living in a world that often draws us away from community and the vital remembrance of who we truly are. These songs are meant to rattle our cages and ask us to question some of our deepest assumptions while at the same being musically groovy and uplifting. To listen and download, click here. 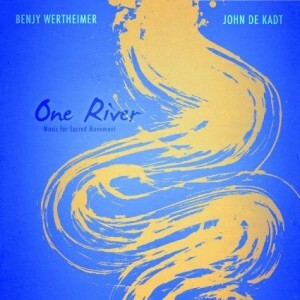 One River: The collaboration between John de Kadt and Benjy Wertheimer in their new release One River reflects their extensive experience in providing extraordinary live soundtracks for some of the world’s leading yoga teachers (such as Shiva Rea), and invites the listener into myriad realms of sacred movement and awareness. The deep and luscious soundscapes presented on One River range from vast spaces that heal and calm the mind to energetic, playful virtuosic journeys into vigorous and transformational yogic dance. 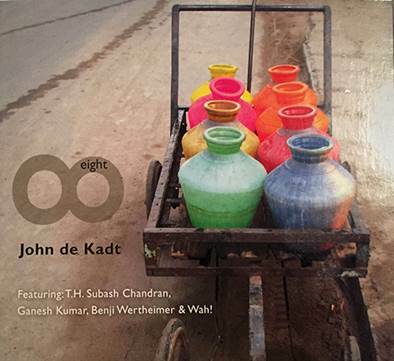 All of the selections on the CD are centered around the spellbinding melodic percussion that is the hallmark of John’s and Benjy’s work, beautifully augmented by offerings from an incredible cast of musicians, such as Wah!, the Grammy-winning flute master Steve Gorn, violinist/vocalist Jahnavi Harrison, and the angelic vocals of Heather Wertheimer. One River is a perfect support for a wide variety of sacred movement and healing practices, as well as focused listening. To listen and download, click here. Eight: The rhythm of a drum is one of the oldest and most immediate ways to expand consciousness and move us from the mundane to the mystical. Eight invites us to a global percussive feast flavored with the mesmerizing melodies of sitar, esaraj, bansuri, flute, voice, guitar, fretless bass, and the contemporary hang drum. 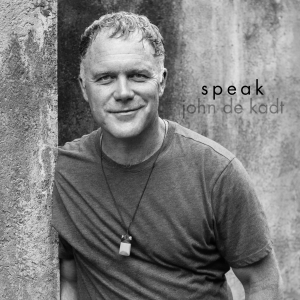 John de Kadt along with musicians T.H. Subash Chandran, Ganesh Kumar, Benjy Wertheimer, Moksha Sommer and others carry listeners through a trance-like soundscape that evokes a sense of infinite space and serenity. Previously released as Rhythms of the Infinite under the Sounds True label. To listen and download, click here. 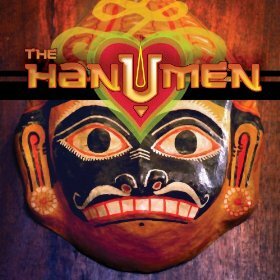 The Hanumen: In this ground breaking album The Hanumen transport us to a world of unforgettable music, mystic poetry, world-rhythm and Mantra Music. The Hanumen create a soulful and ecstatic celebration of Naada Yoga (sacred sound and vibration) and Bhakti Yoga (love and devotion in a humble mood of service) with an array of unique instruments from around the globe. Highly trained in the sacred music of India and Africa, yet rooted in Americana and Western music, the Hanumen perform an original mix of improvisational sounds, song, and story with call-and- response chant in English and Sanskrit. These vibrations awaken the senses to their original spiritual nature — and fill the audience with feelings of eternity, wisdom and joy. This CD was recorded live in Portland, Oregon. Four of us sat in the room and played these songs until they felt right. Most of what you hear is exactly how it went down. This process allowed us to capture the live energy that is so vital to the “Hanumen Experience.” To listen and download, click here. 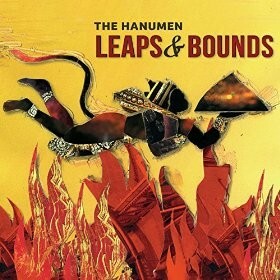 Leaps & Bounds: This second album by the Hanumen was voted the second favorite conscious music album of 2015 by listeners worldwide through Soul Traveler. This album possesses their hallmark beautiful vocal arrangements, amazing percussion, spoken word, and includes mellow as well as upbeat tunes. To listen and download, click here. 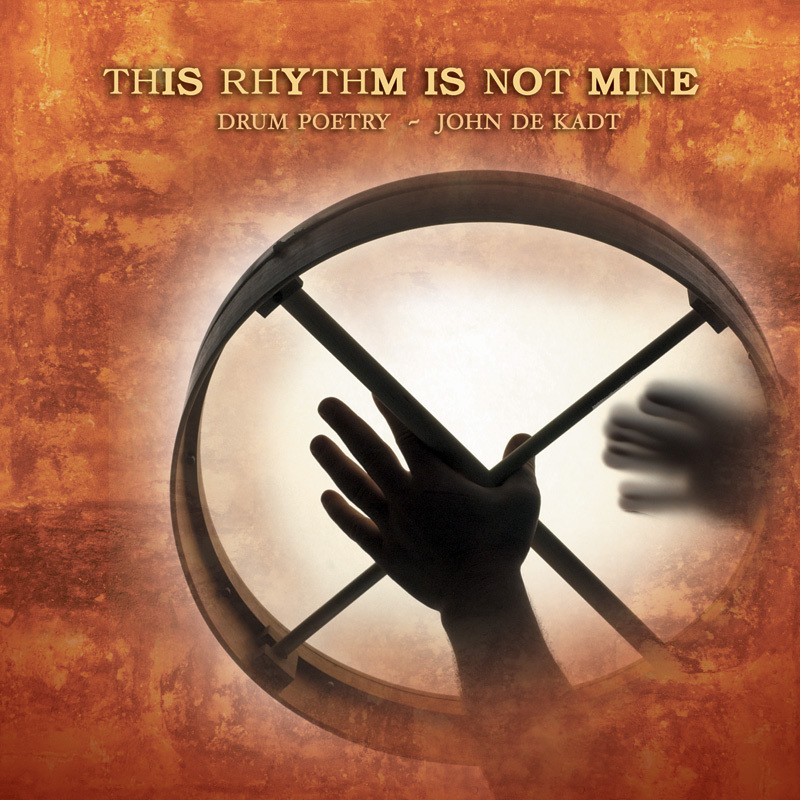 This Rhythm Is Not Mine features percussion styles from around the globe including Africa, India, the Middle East, and North America. These original arrangements, woven with spoken-word poetry, move one to dance, stretch, or lie perfectly still. Fusing voice and drum, the two oldest instruments on earth, This Rhythm Is Not Mine carries us on journeys far and near, sparking imagination and awakening. This CD, with some tracks that include spoken-word poetry and some that are strictly instrumental, truly lends itself to many uses, including yoga, relaxation, dance and contemplation. To listen and download, click here.